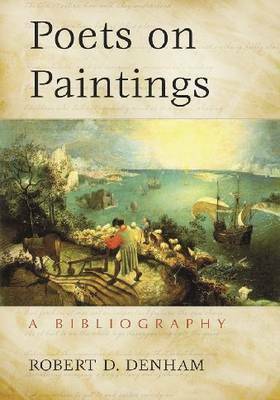 Ekphrasis, the description of pictorial art in words, is the subject of this bibliography. 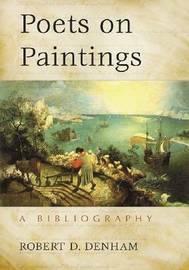 More specifically, some 2500 poems on paintings are catalogued. An additional list provides the locations of such poems in museum collections, other anthologies, and books of poems by a single author. Also included are 2000 entries on the secondary literature of ekphrasis, including works on sculpture, music, photography, film, and mixed media. Robert D. Denham is John P. Fishwick Professor of English Emeritus at Roanoke College in Salem, Virginia. He has also taught at Emory & Henry College, after which he served as Director of English Programs and Director of the Association of Departments of English for the Modern Language Association. He has written and edited more than twenty-five volumes on Frye.